CONTACT US FOR ALL OUR LATEST OFFERS! 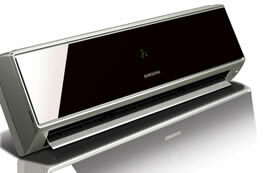 We sell and install all brands of Air conditioning. We also stock Fridge Freezers, Washing machines, Ovens, Gas Cookers, Dishwashers, Small under counter Fridges, Freezers,( Chest and upright) all at competitive prices. We repair and service all brands of air conditioning units, by a fully qualified refrigeration engineer. 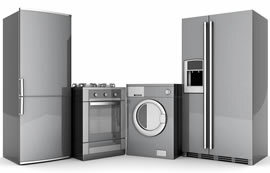 We also provide a call out service to your home to repair and service all your white goods appliances at competitive rates. We pride ourselves in our after care service. We handle all new appliance manufacurer guarantees when purchased through us, and all our second hand appliances are guaranteed by us. We will always try to help in any way we can. Or better still, why not sign up for our Newsletter and be updated on SPECIAL OFFERS as they become available. We pride ourselves in offering a great service backed by our experienced and knowledgeable customer support team. K&M can provide Free Quotes and technical advise for all your Air Conditioning needs, and for a small call out fee for your domestic appliance repairs. 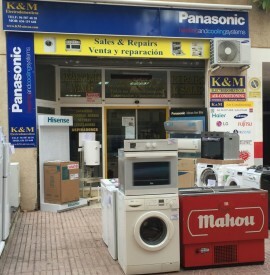 K&M’s pricing policy for new white goods and air-conditioning is to offer the lowest possible. They achieve this by buying smarter, buying in bulk and watching out for great manufacturer/supplier offers. We at K&M, are uncompromising perfectionists – our goal is to provide the best client service and the best value you can find - and all our work and parts are guaranteed. For the best in domestic appliances and air-conditioning call K&M and save money!